IACRN Members - Register any time until September 9, 11:59 pm Eastern time for the Early Bird rate for the full 3-day conference and pre-conference. IACRN Members - Register any time until September 9, 11:59 pm Eastern time for the Early Bird rate for the full 2-day conference. IACRN Members - Register any time from September 10th through October 26th for the Regular rate for the full 2-day conference. IACRN non-Members - Register any time until September 9, 11:59 pm Eastern time for the Early Bird rate for the full 3-day conference and pre-conference. IACRN non-Members - Register any time until September 9, 11:59 pm Eastern time for the Early Bird rate for the full 2-day conference. IACRN non-Members - Register any time from September 10 through October 26th for the Regular rate for the full 2-day conference. For both Members and Non-members register any time through October 26th for only the Pre-conference day, Monday, October 24th. For both Members and Non-members full-time students may register any time through October 26th for the full 2-day Conference at the discounted rate. For both Members and Non-members register any time through October 26th for Tuesday, October 25th only, including the Poster Reception that evening. For both Members and Non-members register any time through October 26th for Wednesday, October 26th only. 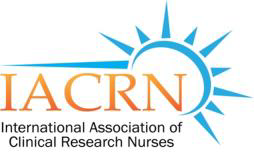 Join us for IACRN's 8th Annual Conference just outside Disney World in Lake Buena Vista, Florida, entitled "Clinical Research Nursing: Embodying Team Science for Participant-Focused Care." IACRN has an exciting educational program planned for 2016. Registration Rates: (Members must LOG IN to access the member rates). Pre-conference day is Monday, October 24th. The pre-conference costs $149 for 1 morning and 1 afternoon session for both members and non-members. There is an option to add the pre-conference day to your conference registration on the registration page. A full year membership in IACRN is $100, a 2 year membership is $190. If you would like to take advantage of the member registration rates and are not yet a member, click here to become an IACRN member. You must be a paid member of IACRN in order to qualify for the member rates. If you become a member, you will be eligible to register for the conference at the member rates the following business day. There is a 10% discount off the base registration amount if 5 or more IACRN members register together from the same organization. A special code is needed - please contact Helaine Labovitz at hlabovitz@iacrn.org for the code. The group rate is $129 single/double occupancy, plus taxes. The group rate cutoff date is September 30, 2016 by 5:00pm (Eastern time). After this date, rooms will be subject to prevailing rates and availability. Click here for hotel information.